It’s astonishing to see how drastically the internet has changed the way we work and live today. The World Wide Web has turned 30 this year, making it one of the greatest achievements of this century. However, with so many choices of broadband service providers and different connections, tariffs and prices, it’s easy to get confused and overwhelmed when choosing one that will best suit your needs. 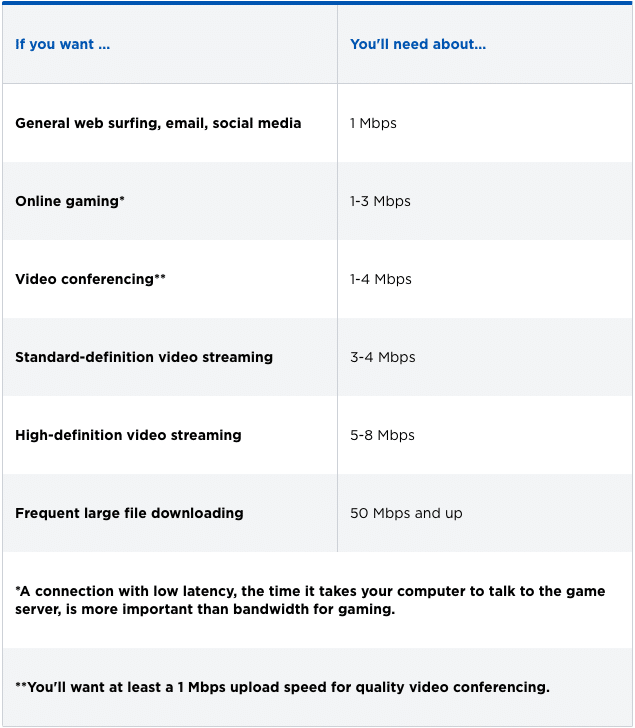 Here’s a breakdown of points you need to know that will help you select the best fitting broadband for your needs, and simultaneously save you money with this quick how-to guide. 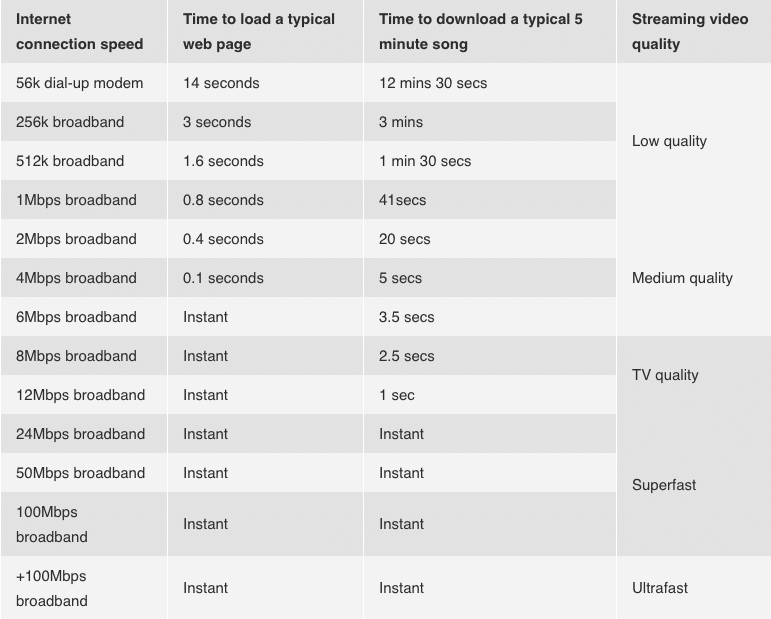 You can see from the table below how different online activities require different levels of speed from your internet. As you can see from the table above, general internet surfing and checking emails does not require a high-speed internet connection. However, how fast different pages and web assets load will still largely depend on the speed of your connection. Uses existing analogue telephone lines and is the most common type of connection. Wireless technology is used to connect via Wi-Fi or WiMAX. Users can also connect via Mobile broadband, wirelessly connecting a portable device using the 3G or 4G mobile phone network. Offered by Cable TV operators uses high-speed fibre optic networks to provide broadband. A broadband-only deal is excellent for users who do not use a telephone and purely use the internet for social media, streaming and surfing the web. The TV and broadband deals can offer users different types of TV channels deals from children’s entertainment to sports which can make it a great option, like BT broadband and BT Sports packages. If you’re looking for fast and reliable internet connection, then Fiber optic broadband is most certainly the best way to go. It offers users the latest technology with superfast speeds. However, the costs associated are also higher. Opting for bundling your internet with a landline can help save money as most broadband providers will require you to have a landline to run the broadband through. Having all three elements from the same provider can make managing the bills easier with bundle packages which can also save you money. In order to get the best deals, it would be worth checking on comparison sites and compare broadband deals to fit your requirements best. Thirdly, it’s important to try and save money where you can. 1. Ask your current provider for a better deal. Surprisingly, you can save quite a bit, and possibly get a better package just by asking for one at the end of your contract, before renewing. Before calling, be sure to have visited comparison sites like MoneySupermarket, USAVE, Compare The Market and uSwitch to compare broadband deals to give you leverage over what your current provider is trying to offer you. This will give you an idea of the kind of prices competitors are providing. Your broadband contract is most likely to be for the length of 12, 18 or 24 months. Once this has finished, do some shopping around for the best types of deals on the market to fit your usage. Keeping an eye on how much of your broadband allowance you are using can help shed money off your package or deal. Although Fibre optic broadband deals offer faster speeds than ADSL, chances are you won’t be using it all. Opting for a less MB package can save you money. To speed up a slow connection, you could simply upgrade your router. 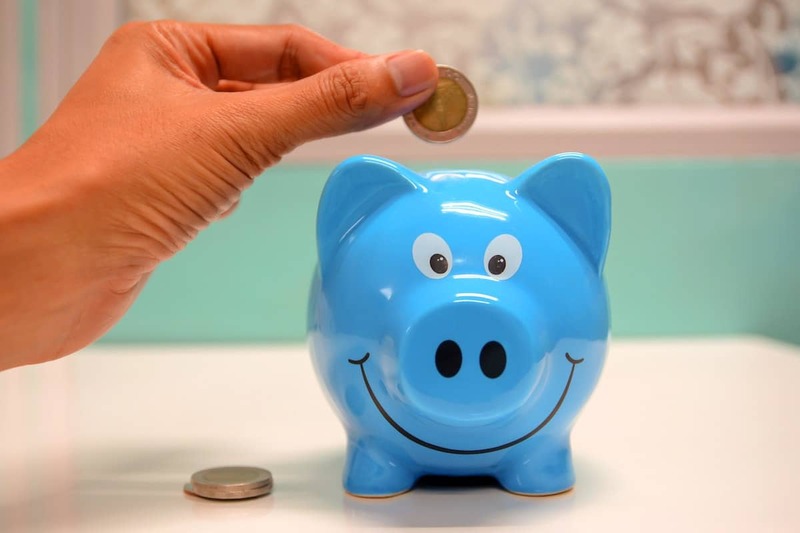 Although bundles are great and help manage bills as you can get a number of different services from the same provider, they do not always work out the cheapest. It may be good to dig around a bit and compare prices of the individual services, (Broadband, Phone & TV) from all different providers. Doing it this way could work out relatively cheaper although deal packages will always seem like a better option. Not having a landline can help you save money and let’s face it, it’s one less bill to pay. Most mobile phone contracts come with unlimited minutes. Using your mobile phone which you are already paying for and eliminate the need for a landline.